According to the International Air Transport Association said that the traffic of Middle East has continued to rise high with global passenger traffic results for March 2018. The report showed that demand of airline has measured in revenue passenger kilometres, or RPKs – rose 9.5 per cent compared to the same month a year ago, the fastest pace in 12 months. The Capacity – available seat kilometers, or ASKs – grew 6.4 per cent and load factor climbed 2.3 percentage points to 82.4 per cent, which set a record for the month, following on the record set in February. All regions except for the Middle East posted record load factors. 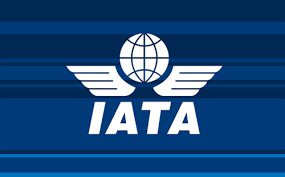 Alexandre de Juniac, the Iata’s director-general and CEO said that, the demand for air travel remains strong, supported by the comparatively healthy economic backdrop and business confidence levels. But rising cost inputs – particularly fuel prices – suggest that any demand boosts from lower fares will moderate going into the second quarter. In March, the international passenger demand rose 10.6 per cent compared to March 2017, which was up from 7.4 per cent year-over-year growth recorded in February. All regions showed strong increases. Total capacity climbed 6.6 per cent, and load factor improved 2.9 percentage points to 81.5 per cent. The carrier traffic of Middle East jumped 10.7 per cent in March, much improved from the 4.1 per cent year-over-year increase recorded in February. This reflects healthy growth in the market between the Middle East and Asia. The demand also shows signs of stabilisation on Middle East to North America routes, following the disruption caused in the first half of 2017 by the now-lifted ban on large portable electronic devices, as well as a wider impact stemming from the proposed travel restrictions to the US. Capacity increased 4.3 per cent and load factor jumped 4.4 percentage points to 76.7 per cent. Asia-Pacific airlines’ traffic soared 11.6 per cent in March, compared to the year-ago period. Passenger traffic is continuing to trend upwards, supported by strong regional economic growth and ongoing expansion in the number of airport-pair options for travellers. The European carriers saw March traffic climb 9.8 per cent over March 2017, up from 6.9 per cent annual growth in February. Business confidence in the most-open countries in the region has been hit by trade tensions in recent months, but economic conditions remain broadly supportive. The North American airlines posted a 9.5 per cent traffic rise in March compared to the year-ago period, well above the 5-year average growth rate of 3.6 per cent. Latin American airlines had an 11.8 per cent increase in March traffic, which was the largest increase among the regions for a third month in a row. While on the contrary, the African airlines continued to enjoy very strong demand as well, with traffic up 11.2 per cent compared to March 2017, which was more than twice the 5-year average pace of 4.8 per cent.